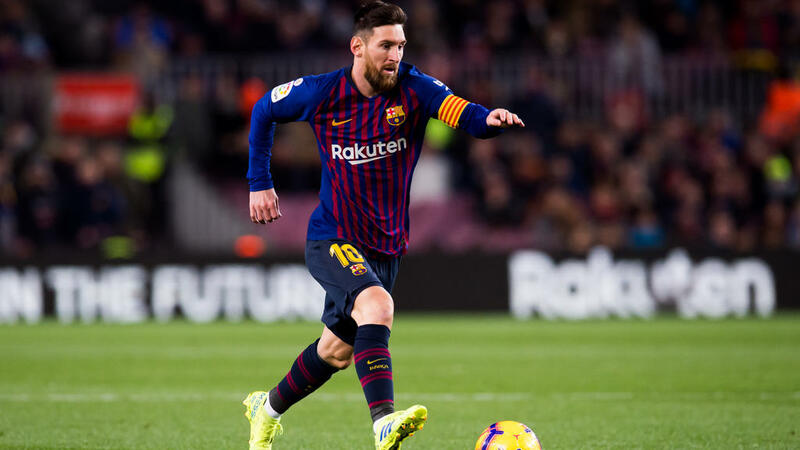 Lionel Messi was named in Barcelona's squad on Tuesday ahead of their Copa del Rey semi-final against Real Madrid but coach Ernesto Valverde insists he will not take any risks with his captain's fitness. Messi returned to training on Tuesday before the first leg at the Camp Nou on Wednesday, despite feeling discomfort in his thigh during Barca's draw with Valencia on Sunday. Shortly before training, Valverde had said in a press conference: "I have not seen him yet and I don't have an answer. "There is a training session and we will see how he is, whether he can do it and whether he is in the right condition. "Then we will decide. If he is fit, he will play and if he is not, he will not play." Valverde added: "It is true that sometimes we have had doubts with players and we have waited until the last moment, and it's the same with Messi." Valverde indicated he would be cautious with Messi's fitness. "I am not very supportive of taking risks when there are so many games ahead," Valverde said. "If the league ended tomorrow, it would be a different question. "But risking the fitness of any player -- Messi or anyone else -- I'm not really in favour of it because they inevitably play with some fear, and games like tomorrow cannot be played with fear." Real Madrid coach Santiago Solari had said earlier on Tuesday that he hoped Messi would be available. "In football it's always best that the best players play in every game, that's just how it is," Solari said. Valverde admitted he might have to rotate his line-up given the number of important games coming up. "The calendar is very complicated," he said. "It was already complicated in January but with this semi-final at a very high level, more league games, more games in the Champions League knock-out stages, we have to walk a fine line. We are in a decisive part of the season." "Real Madrid usually play well at the Camp Nou," Valverde said. "In October they were going through a delicate period but now they are better. We are expecting them at their best."